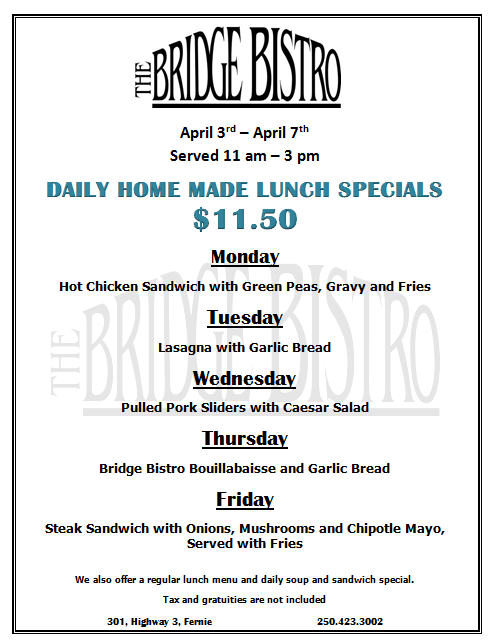 Daily Lunch Specials April 3rd – 7th. $11.50 Lunch Specials 11 am – 3 pm, April 3-7. 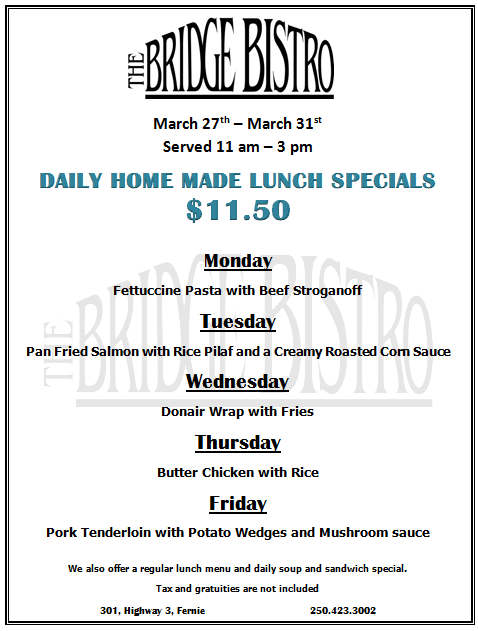 Daily Lunch Specials March 27-31. 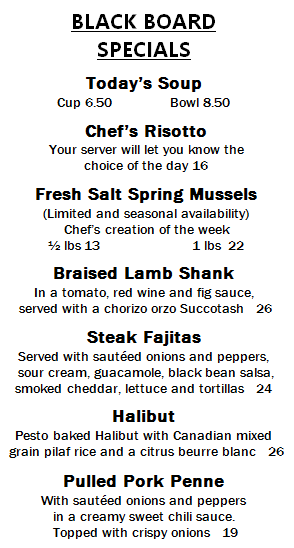 $11.50 Lunch specials. Come and join us this last week of March. 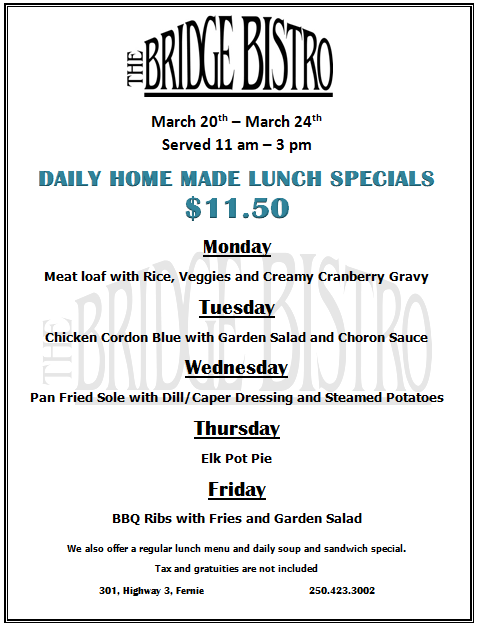 These are our Daily Home Made lunch specials for the week of March 6 – 10 We look forward seeing you. 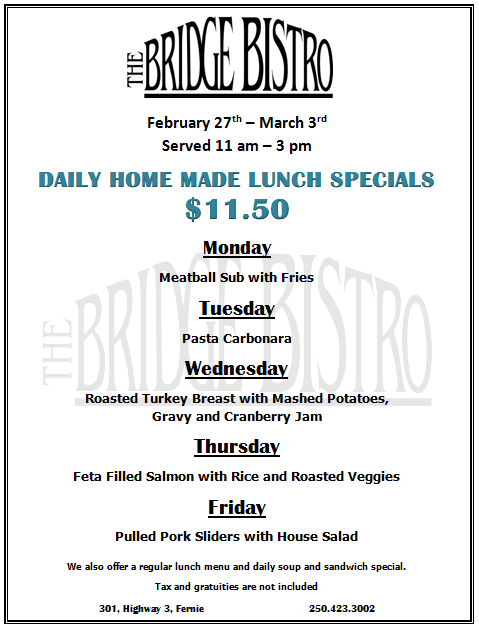 These are our Daily Home Made lunch specials for the week of February 27 – March 3 We look forward seeing you. 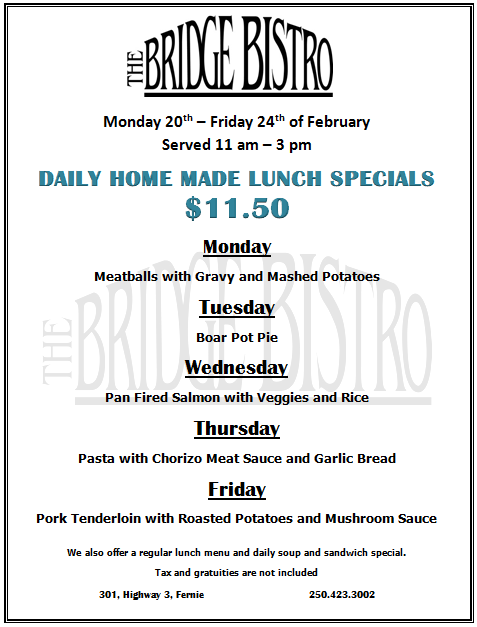 These are our Daily Home Made lunch specials for the week of February 20 – 24 2017. 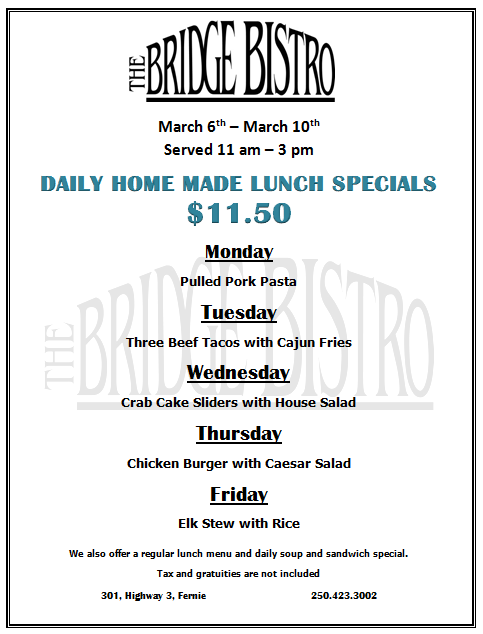 Come join us for lunch! 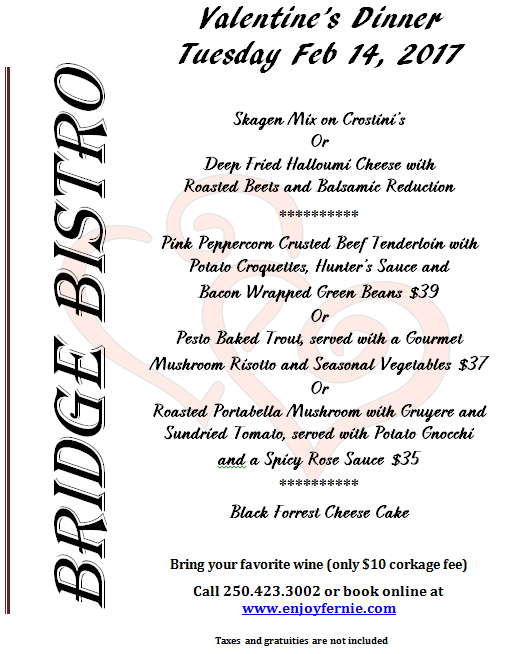 The Bridge Bistro invites you to a very special Valentine’s Dinner. 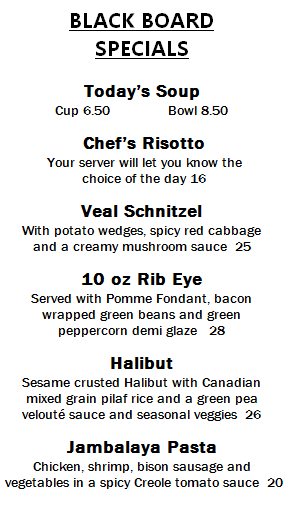 Please call 250-423-3002 or book a table below to reserve your romantic evening.